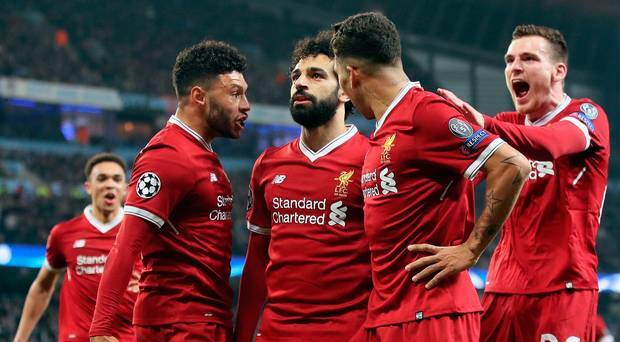 Liverpool, who lost 3-1 to Real Madrid in last season’s final avoided a rematch with the Spanish giants in Monday’s draw when they were left in the pot of unseeded teams with Ajax – who played Bayern in the group stage. The Reds have not played Bayern, who have reached at least the semi-finals in seven of the past nine seasons, in Europe’s premier club competition since it became the Champions League. The German champions have struggled under Niko Kovac in the Bundesliga this season and are third – nine points behind leaders Dortmund – in the table. But they breezed through a group containing Ajax, Benfica and AEK Athens unbeaten. Liverpool manager Jurgen Klopp will be returning to his homeland to face the club who beat his Dortmund side in the 2013 Champions League final. Ex-Reds winger Steve McManaman believes his former club have the quality to beat Bayern. “Liverpool were always going to get a difficult draw,” the former England international said on BT Sport. “No disrespect to Porto, but they are probably the one team you wanted to draw. “But Bayern Munich are the not the team they once were. This young, exuberant, quick Liverpool team should be too good for them. Spurs, on the other hand, face a Dortmund side who are unbeaten domestically as they aim to end Bayern’s six-year monopoly on the German top flight. The tie should also see 18-year-old England winger Jadon Sancho face Premier League opposition for the first time in a competitive match.